Cheers to a week that went by in a flash! One of my favorite things is discovering new places, and consequently collecting new stories to tell when Monday rolls around. I daresay my partner-in-crime and I found something rather novel in SOMA this weekend: Novela. While rather over the top, I definitely had a wonderful time in this library-themed, stylish hangout. 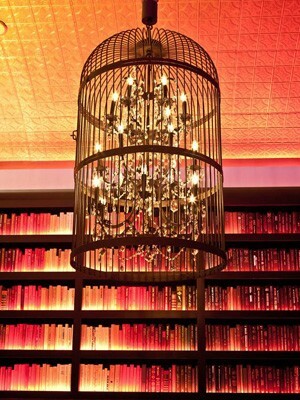 The walls were floor-to- ceiling illuminated bookshelves, and the cocktails named after beloved characters from the classics. I got overly excited when I found a drink on the menu by the name of Holden Caulfield. I pointed at the menu and said something terribly verbose, along the lines of “Ooh! Ooh! I know that one!” As if I was, at one point, the only 15 year old that was forced to read Catcher in the Rye in school, only to appreciate it 10 years later. 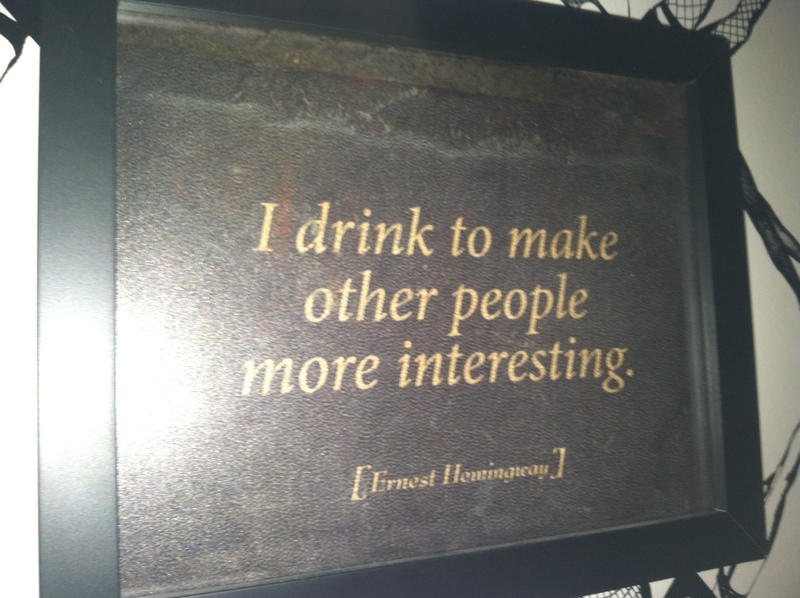 Not always 100% true, but touché Ernest. That’s the only point of the game I haven’t worked out yet. I’d like to say that if we were playing this game on Saturday night, one of us would have won. There was a British man. And he yelled something along the lines of “AYYY! YEW LOOK GOR-GEOUS!” at us.